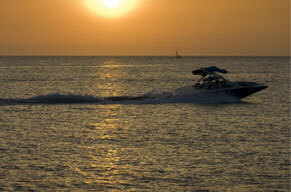 Boating Under the Influence laws in Washington have just gotten much more strict. The Legislature changed BUI from a simple misdemeanor to a gross misdemeanor (same as DUI). BUI now carries a maximum sentence of 364 days in jail and a $5,000 fine. Any person who is charged with BUI should contact an experienced attorney as soon as possible, to start working on your behalf. At Parnell Defense, PLLC, in Kirkland and Lynnwood, I offer a free initial consultation where we can discuss your charges, options, and legal strategies. Most boating under the influence (BUI) citations that I see occur on Lake Washington, south of the I-90 floating bridge and north of Bailey Peninsula. This area is classified as a No Wake Zone under 33 CFR 100.1301 (wake = seven miles per hour or more) and gives the police carte blanche to issue you an infraction, which then gives them the opportunity to investigate for BUI. If your vessel is boarded — remember, just like any DUI stop on the road, the field sobriety tests are voluntary. Don’t do them, not even the portable breath test. Should I submit to a field sobriety test? If your vessel is boarded — remember, just like any DUI stop on the road, the field sobriety tests are voluntary. Don’t do them. No speed-measuring device was used in determining whether your boat was making a wake. The arresting officer has no maritime experience and, thus, no ability to estimate the boat’s speed. The eye test (HGN), while conducted on the boat, should have been re-administered on land after a 10-minute waiting period for you to get your land-legs back. When someone is arrested for BUI, we used to advise them to refuse the evidential breath test (this is the formal breath test done either at the station or at a mobile processing unit and is admissible in court as evidence against you). But with the changes in the BUI laws, Washington has now made refusing that test a Class 1 infraction to refuse the evidential breath/blood test with a fine of $1,000 and bail amount of $2,050. You definitely will want to talk with a lawyer prior to deciding whether to take the evidential breath test now. There’s usually a public defender on call waiting for calls just like this one. While a refusal of the test denies the prosecution of evidence of impairment, you may end up with not only the infraction being brought against you, but also the criminal charge of BUI. Again, exercise your right to talk with a lawyer after your arrest but prior to the evidential breath/blood test. Based on this last argument as well as misinformation that is typically read to the boater by law enforcement, I will usually advise clients to refuse the breath test when they are placed under arrest for boating under the influence. While having to pay a monetary fine by the Coast Guard is a possible consequence for refusing the breath test, depriving the government of breath test evidence is usually far more helpful in a BUI defense case.